(Newser) – Today in awful: A Massachusetts woman has filed a complaint after she sent her cat to the vet for a flea bath, and the animal was mistakenly euthanized, reports the Telegram & Gazette News. Colleen Conlon had her son drop off 8-year-old Lady at the Broadway Animal Hospital, where he signed paperwork. "He said they were like index cards which had basic pet information,” she says, then “he left to go get" her other cat. When he returned and asked for Lady, the vet asked him, "You want the bodies?" “At first he thought it was some cruel joke,” says Conlon. hm... time to go get my girlfriend's cats a flea bath. i guess that's a professional risk for home cats. 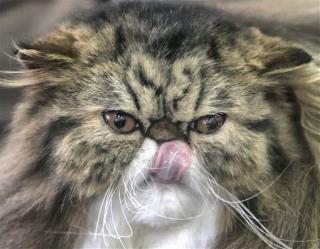 stray cats face illnesses, cars and hunger, pets are threatened by scatterbrain vets.